Cardozo Law School of Yeshiva University: Gave its International Advocate for Peace Award to Jimmy Carter, author of Palestine: Peace Not Apartheid, on April 10. Previously, it gave that same Peace Award to Desmond Tutu, known for saying that "Israel is like Hitler and apartheid." 92nd St. Y: Scheduled (but then postponed) a talk by Roger Waters of Pink Floyd, leading exponent of artistic boycotts of Israel and purveyor of antisemitic canards. 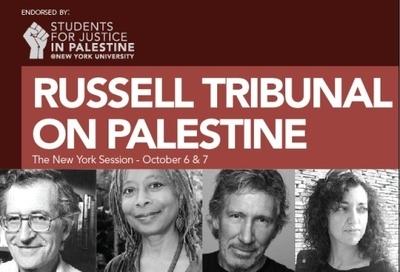 It then hosted the novelist Alice Walker, who calls Israel the "greatest terrorist" of the Middle East. Jewish Federation of Greater Philadelphia: Hosted a keynote address by Sari Nusseibeh, who rejects the existence of Israel as a Jewish state. 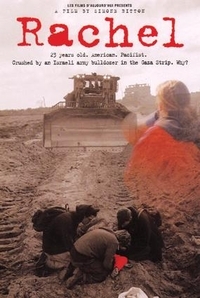 San Francisco Jewish Film Festival: Showed Rachel, a film hailing anti-Israel activist Rachel Corrie, and had Corrie's mother speak at the showing. Brandeis University: Bestowed an honorary degree on Tony Kushner, who says "it would have been better if Israel never happened" and accuses Israel of "ethnic cleansing" Palestinians. What is it about Jewish organizations that they acclaim their opponents? A belief that treating opponents generously will inspire reciprocity, even though this almost never works. To help the development of the Palestinian economy – which was seen as key by Israeli and American leaders to politically moderating the Palestinian population and solidifying peace – and lay to rest any potential arguments in the future over the resource, Israel carved from within the demarcation of its proposed Exclusive Economic Zone (EEZ) between itself and Gaza an indentation rather than run the demarcation line straight from the coast as is done in every other EEZ demarcation across the globe. Israel agreed to allow the line to be indented to Israel's disadvantage so that the entirety of Gaza Marine will be included in the Palestinian Authority area. The gas, which was to be used both inside Gaza for electricity production and exported to Israel, was to help the Palestinian Authority fund itself, have resources to build up its stature among Palestinians, and by stimulating development, to encourage political stability and moderation. Old left-right disputes surfaced during a recent debate over whether Federation should co-sponsor an April 23 address, backed by Aish Philadelphia, with Frank Gaffney and Daniel Pipes, two thinkers on the right of the political spectrum. Ultimately, Federation decided not to sponsor the event because it wasn't balanced, according to several sources. But the organization is supporting a corresponding teen workshop earlier in the day in which college students will address high school students about the Israel debate on campus. Lee Bender, an Israel advocacy committee member who is co-president of the Greater Philadelphia District of the Zionist Organization of America, was among those who argued that Federation should have sponsored the Gaffney-Pipes event. "Not every program has to be balanced in and of itself," Bender said, arguing that such balance could come over the course of, say, a year. "Too pro-Israel? What is wrong with this? Are we supposed to get someone who is against U.S. security?" Comment: So, Nusseibeh does not need balancing and I do? He is worthy of Jewish Federation sponsorship and I am not? Community Day School, a Jewish institution in Pittsburgh employs David Harris-Gershon as a teacher, although he is an activist and author who encourages the boycott, divestment, and sanction of Israel. only American Jews are required to open their institutions to "competing narratives," and only they are condemned as bigots if they refuse. With the trap thus sprung, the future of American Jewish institutions is more fraught than ever. Joffe explains this phenomenon as a consequence of Jewish insecurities. Does Israel Need U.S. Jewish Support? "Jewish" - Not the Same as "Pro-Israel"